Being the futuristic product it is, the top half of the speaker can swivel 340-degrees to face the person talking to it. The Xperia Hello! is a smart speaker says Sony but it won’t be surprising if most assume it to be a robot that listens to you all the time. The market if flooded with smart, voice-controlled speakers like the Amazon Echo, Google Dot and Apple HomePod. 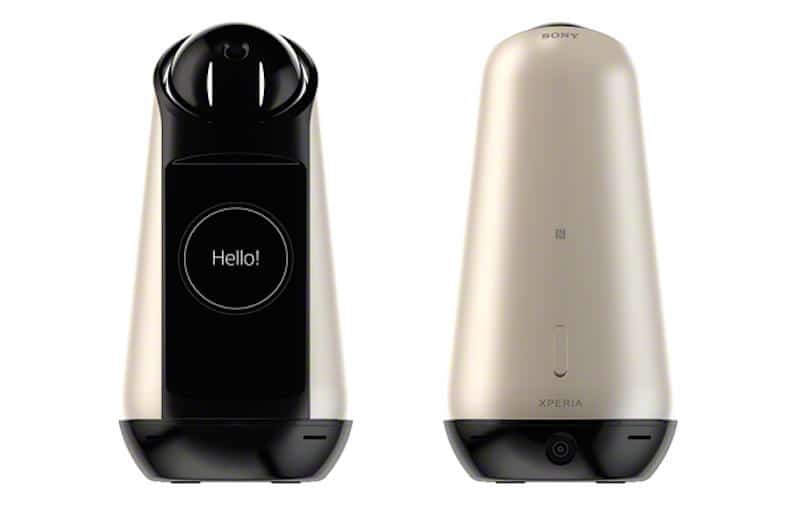 Going by the same lines, Sony has launched the new Xperia Hello! which is designed to be a robot right from the start. The speaker features a large 4.6-inch display with 720p resolution that provides all essential information including weather, time and any new messages. Sony is very confident that their new robot speaker is capable of recognizing every voice in a household and also identify the person to provide customized services. Being the futuristic product it is, the top half of the speaker can swivel 340-degrees to face the person talking to it. Sensors can identify the presence of a person and respond accordingly. However, it is available only in Japan and costs a whopping $1,000 making it a tough sell for buyers in other countries.